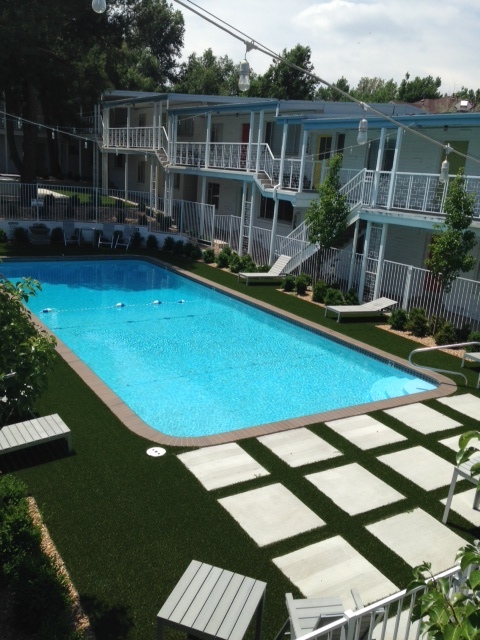 The Outsiders serves local residential, commercial, municipal and recreational clients in and around the Denver Colorado area with specialized, professional artificial turf landscaping and installation. As your neighborhood artificial turf specialist, we can assure you that artificial turf will provide you with the look and feel of a soft, thick, healthy natural grass, yet with the benefits of a maintenance free lawn. We offer turf in a wide variety of grass types to appeal to every consumer. Reduces water usage with no irrigation or watering. Reduces air pollution with no lawn mowing. Preserves our natural resources and protects wildlife and pets with no fertilizing. Provides a lush green appearance through out the year with no signs of wear and tear. 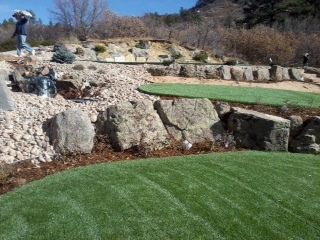 The Outsiders is a local Denver Colorado family owned business that takes great pride in every project we work on. You can rest assured that our expert landscaping and outdoor living space design will result in your dream coming true! "After two years of sodding, sodding again and sodding some more, we came to the conclusion that we had to rethink our strategy for our dog run. We're long time clients at ComeSitStay doggy daycare, and have always loved their pup-friendly turf setup, done by The Outsiders Landscaping. I emailed Dennis for a quote and received a call within a few hours. He came out a few days later to measure and get details on what we were looking for, then scheduled the install for the following week. The install went exactly as they said it would, and the finished product looks absolutely awesome. We love it, the dogs love it and has already made life easier by eliminating muddy paws and the associated cleanup. Great guys, great work and and great end result. Thanks, Dennis!"